I’m a bit late in getting this post done this week and I’ve left it that long that I can barely remember what we got up to! It was another busy week with me in work full time, but we managed to squeeze in a visit from Grandpop on the Wednesday and have lots of fun at the weekend baking and getting out and about. We were hit pretty hard by the snow on Thursday last week. It was a huge shock to wake up to a total whitewash outside and it had caught the local council by surprise too which was evident by the lack of gritting that had been done. It took me nearly two hours to get to work, but I got there, as did my dedicated colleagues, and we managed to open the branch to the public who desperately needed our services. This week I am truly grateful to one colleague in particular who spent two hours stuck in traffic, but still came to work anyway, despite being on a half day and despite me insisting she go home! Total dedication and very helpful considering the snow had all melted by midday and we were faced with huge queues all afternoon! On Sunday evening after a lovely roast lamb dinner, we decided, the three of us, to walk to our local Sainsbury’s Local to pick up some bits for lunches for the week. Now, you may be thinking, okay that’s no big deal right? Wrong! The three of us walked. That’s right, no pram, no carrying, Dexter walked the whole way there and the whole way back. 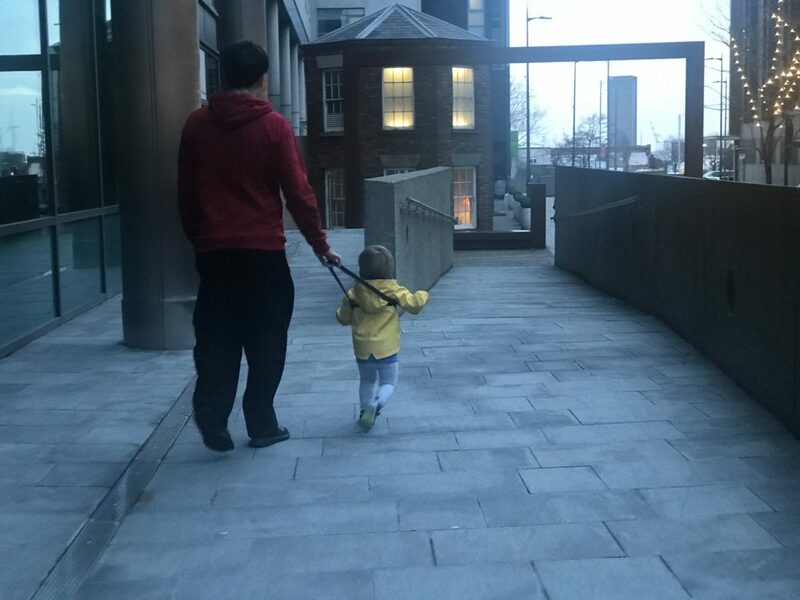 We had reins just incase he decided to bolt, but he held hands with me the whole way and it was just wonderful to see him stopping to look at things that piqued his interest and touch whatever he wanted. We really took our time and it was a lovely hour and a half just meandering, learning and discovering. 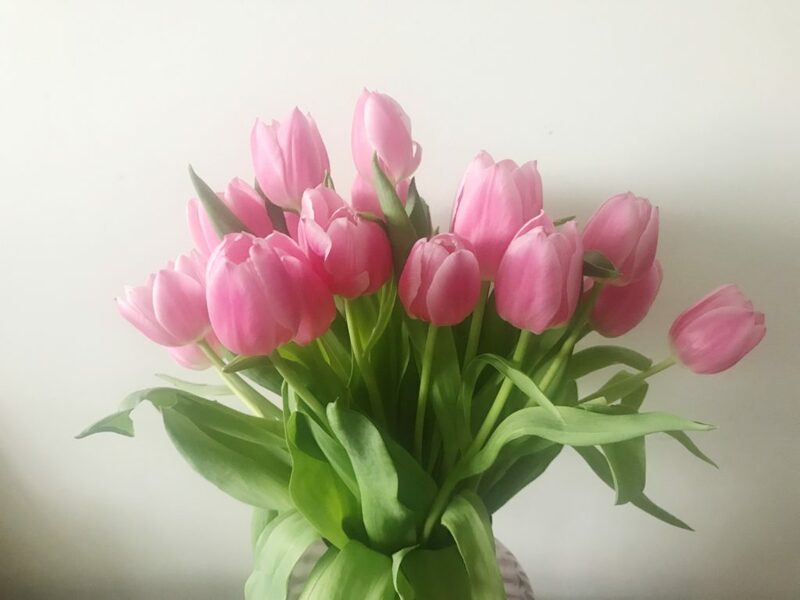 We had a lovely Mother’s Day together on Sunday and Dexter bought me some gorgeous pink tulips which just go wonderfully with my new Dartington Crystal vase. There is nothing better than a bunch of flowers to celebrate Spring! Sounds like you’ve had a lovely week!! 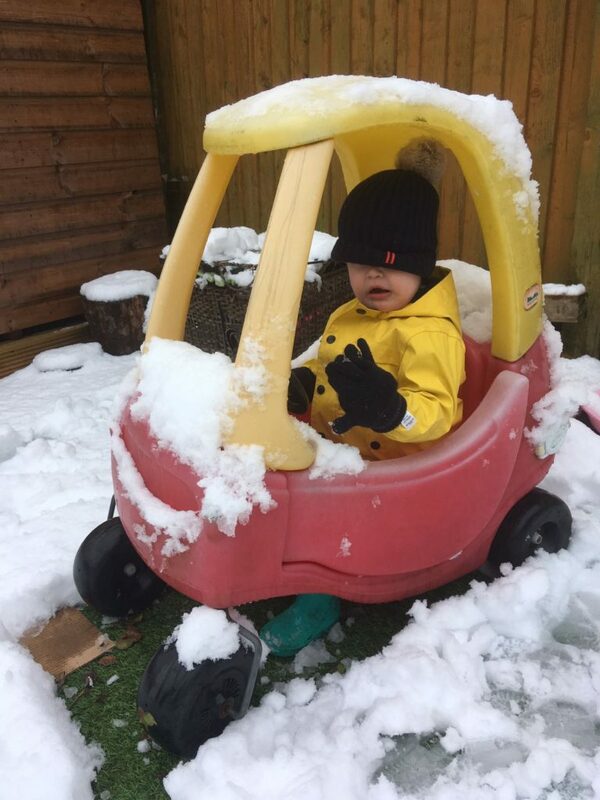 I love that shot of Dex in the snow – perfect to go with your snow/traffic nightmare!